Warm weather is approaching, and it’s never too early to book your summer vacation! If you’re looking for lakefront lodging, hotel, or cabin rentals, we have you covered. 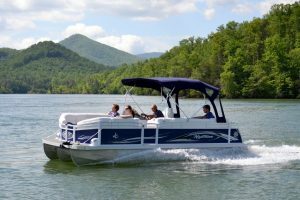 We are also proud to offer a huge selection of luxury boat rentals including pontoon boats, ski boats, deck boats, wakeboard boats, runabouts, and jet skis. Or if you’re looking for some exercise, come rent a canoe or kayak and explore Lake Chatuge. We look forward to seeing you this summer, and feel free to call our office with any questions at 706-896-2530.